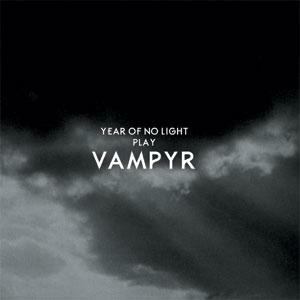 Initially composed to be played as a live soundtrack (like at Roadburn Festival 2011 for example) on Carl Dreyer's "Vampyr" (silent film from 1932), this long musical piece was finally recorded in february 2012. The result is not a new YEAR OF NO LIGHT album but a long new track (72 minutes) with YEAR OF NO LIGHT classic heavy riffs mixed with more experimental and drone tunes that can remind us their collaborative records with NADJA or THISQUIETARMY. This is U.S. pressing, a CD-only release packaged in a 6-panel CD wallet, and limited to 500 copies. Vinyl version available from MusicFearSatan.